This book is a comprehensive study of the social roots of citizen raising in contemporary Russia. It traces the development of governmental patriotic programs in recent decades, discusses how the Soviet past and political traditions influence today’s system of patriotism formation, and presents numerous examples illustrating real-life processes in current patriotic education. While the topics of patriotism and patriotic education are highly politicized, this study approaches them from a sociological perspective. It identifies the basic model of patriotic education as a fairly stable structure born of the values and attitudes of different agents: teachers, school administrators, and civil servants. 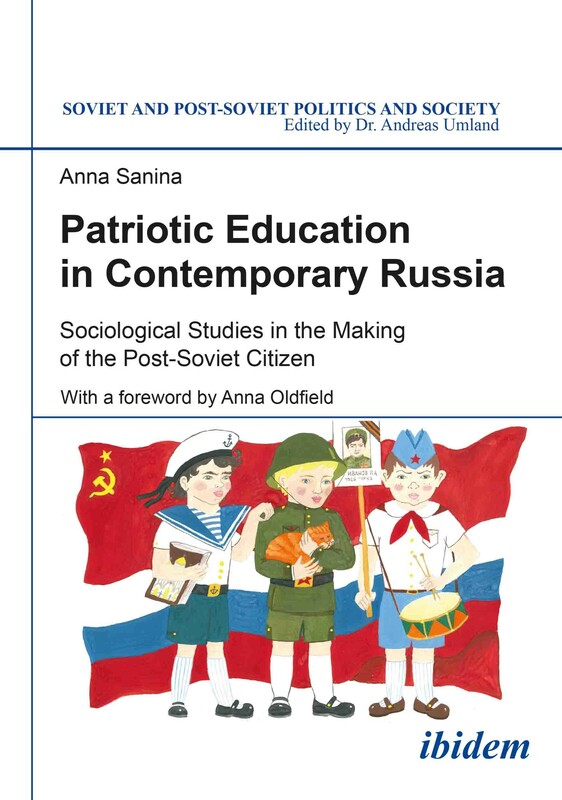 Patriotic education in Russia is shown as a particular example of how a political idea can lead to the formation of social structures, and how, in time, those social structures can lead to the restoration of the original political idea. Anna Sanina, Cand. Sc. (St. Petersburg State University), is Associate Professor of Public Administration at the National Research University Higher School of Economics in St. Petersburg, Russia. Dr. Sanina has been the initiator and principal investigator of several projects on social aspects of the Russian political system, the formation of a Russian national idea, political behavior in social media, and city governance. In 2015, she was a Fulbright Scholar at Indiana University, USA. Her works were published in, among other outlets, the Journal of Eurasian Studies; Discourse, Context & Media; and Forum: Qualitative Social Research. Dr. Anna Oldfield is Associate Professor of World Literature at Coastal Carolina University, Conway, SC.